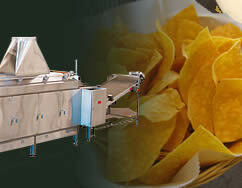 Does your tortilla or flatbread manufacturing space have special design needs? Or is the space open and flexible so that production line customization isn't necessary? 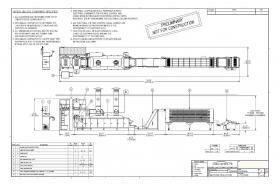 Casa Herrera's professional engineering department works with your company to create and deliver your production line layout drawings to your specific needs. Give us the room dimensions and they'll put the complete production line in that available space. 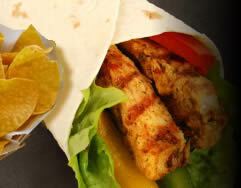 Customize your own corn and flour tortilla or other flatbread manufacturing production line. Our professional design engineers can can provide you with two or tri-dimensional drawings of the equipment you are looking for. 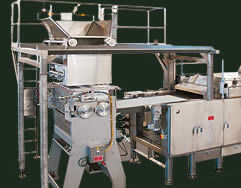 Please contact us for more information on customizing flatbread manufacturing machines and production lines. We use the latest versions of AutoCAD and Solid Edge to give you the most accurate depiction of the machinery as it will be installed in your manufacturing facility. 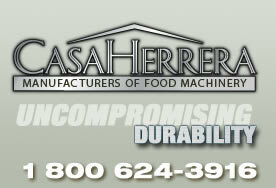 Please contact us for more information on how Casa Herrera provides unique customer service and access to designs and layouts.